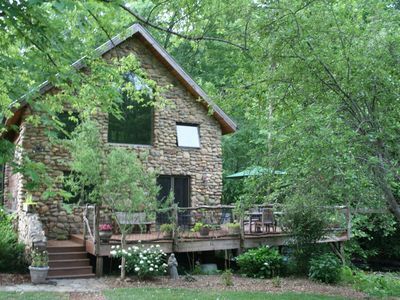 This is a lovely, cozy, tasteful home on our 110 acre property in rural Madison County, NC. 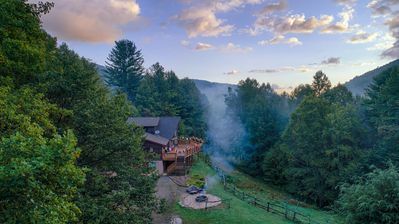 Adjacent to a section of Pisgah National Forest and minutes from the scenic French Broad River, we are 30 miles to the North of Asheville between the towns of Marshall and Hot Springs. 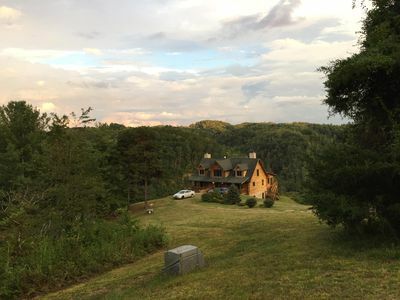 This is a great spot to gather family and friends for a private weekend and a good home base for exploring other attractions in Western North North Carolina and Eastern Tennessee, including hiking, rafting, fishing and horseback riding. 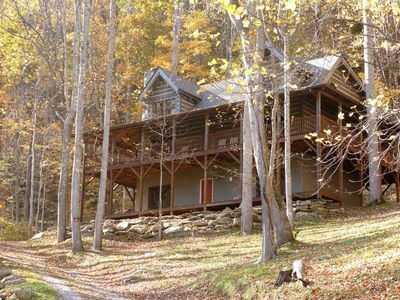 There are two streams, walking trails and a screened picnic shelter on our property, and walks on the Appalachian Trail are only about a half hour away. The house has three levels. A master bedroom with private bath and queen bed is on the upper floor adjacent to large open loft with a futon and writing tables. 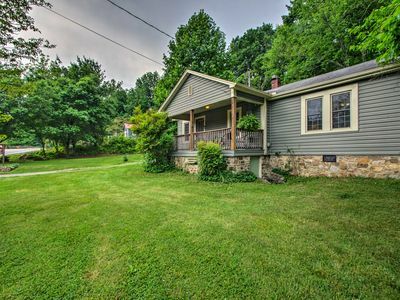 The main floor includes two bedrooms with full size beds and a full bath along with kitchen, dining space and sitting area. 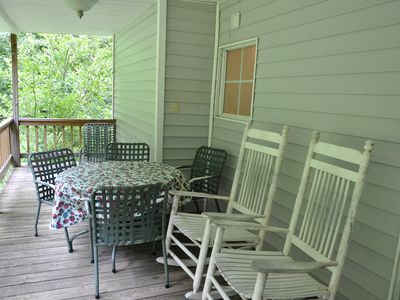 A large sun room extends the length of the house on the first floor, with rocking chairs, a futon and writing desks. 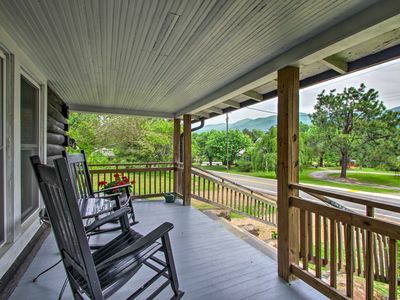 There is also a large covered front porch with rockers and a porch swing. 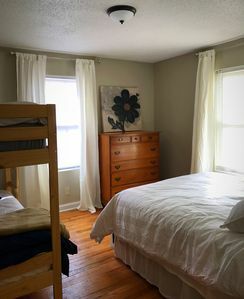 The downstairs includes a cozy den with wood stove, rockers and a futon; one bedroom with a full sized bed; a second bedroom with two twin beds; a full bath and a large game room. 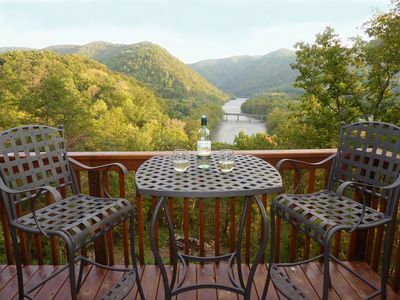 The downstairs patio has nice views and a Weber gas grill. 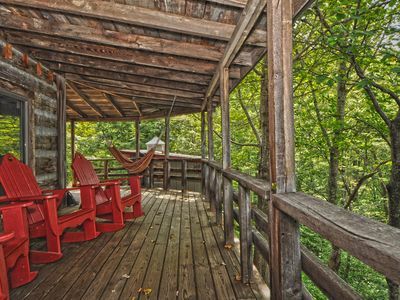 As an "extra" there is a charming little bunk house about fifty feet from the house, with a double bed, sitting area and writing desk that is appealing except in the coldest winter months. 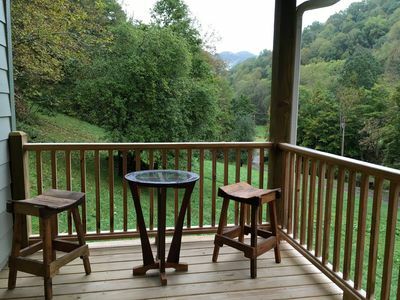 We have two other houses on the property, our "home place" and second house available for short term rentals. For larger groups or events, the two rentals could be taken simultaneously. There is a house phone with unlimited domestic calling. 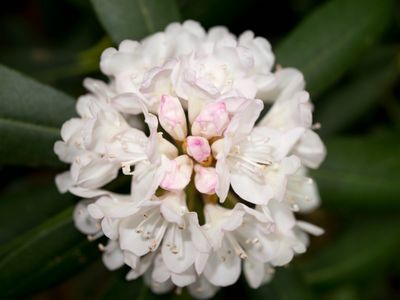 For internet, we have the best service locally available via a US Cellular hot spot. This works perfectly well for routine email and web browsing, but we do ask guests to refrain from media streaming since US Cellular does not offer unlimited data plans. 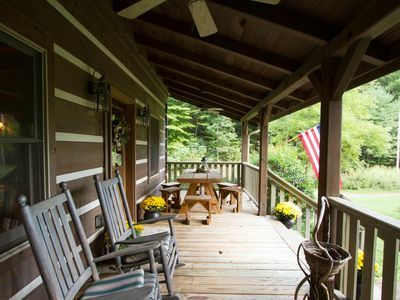 Otherwise the house is deliberately unplugged, with no TV service. 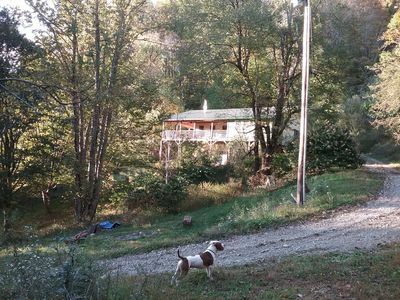 Our setting is rural, about a mile down a state-maintained gravel road that is traveled everyday by the local school bus. 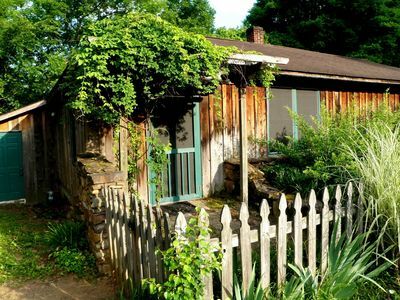 Historic downtown Asheville is 30 miles and 45 minutes away. 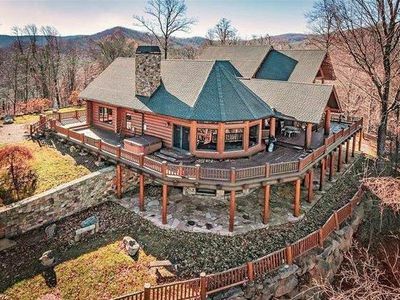 The towns of Weaverville, Marshall and Hot Springs all have local charm and attractions and are 20 - 30 minutes away. There is an excellent Ingles supermarket in Marshall on the way into the cabin from Asheville. The kitchen is fully equipped, and all linens and towels are provided. 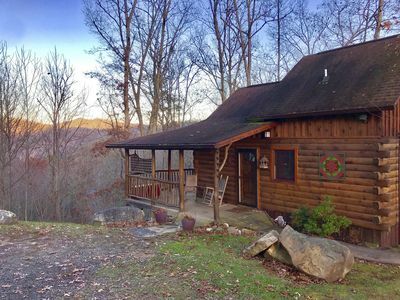 Secluded cabin on 12 beautiful acres, minutes from downtown Hot Springs And AT! 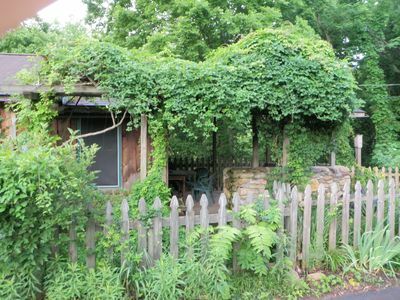 Walk to Downtown, On Appalachian Trail. Family And Pet Friendly! 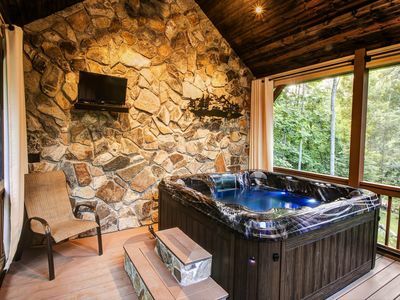 Poplar Gap Lodge; Luxurious log Lodge & Guest House w/ Hot Tubs! 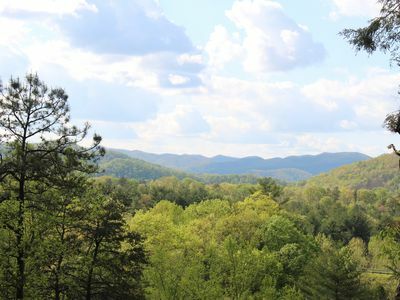 Marshall, Hot Springs, more. 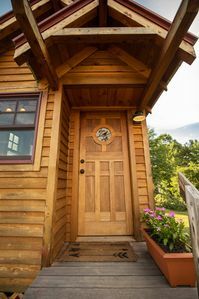 Tiny House Experience at its Best!